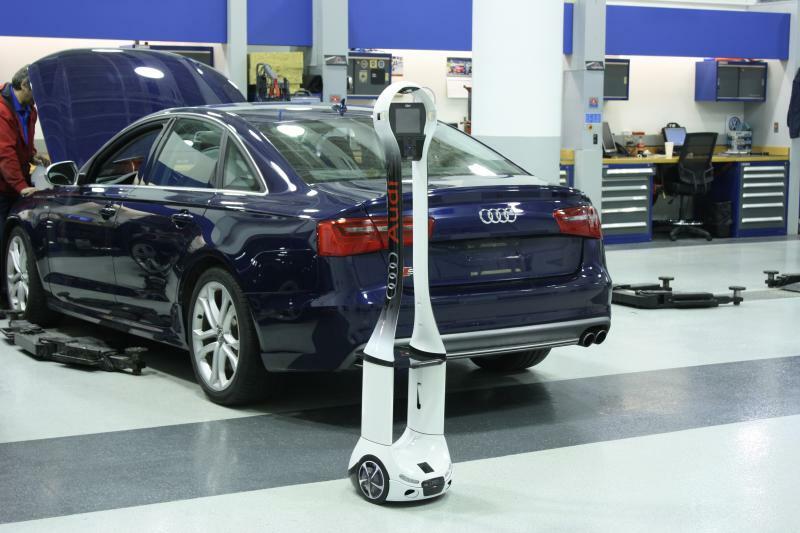 The ART program came about as Audi searched for ways to improve its remote advanced Technical Support to the service organizations of their independently owned Audi dealerships. Technical support is provided by corporate experts based in Audi's national call center and by corporate roving field technicians. Support for infrequent and difficult to diagnose problems has been provided over the phone or by in-person visits to the dealer. Already in the top rankings of the automotive industry for service, Audi wanted quicker repairs, fewer repeat requests for help, and better communication of technical concerns from the field to the factory. These ultimately lead to higher customer satisfaction, more loyal customers and of course more vehicle sales. 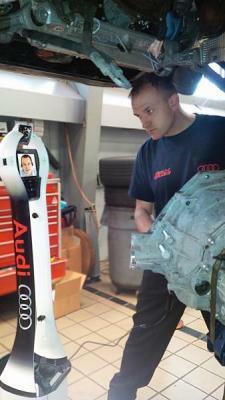 VGo fit Audi's requirements which couldn’t be met by other technologies or vendors. Two way audio / video communication is important so the remote support technician can instantly see the problems as if they are there alongside the local repair technician in the service bay. The addition of a remotely selectable auxiliary camera for getting the precise view and a borescope for looking inside engines and other components improves diagnosis before the expensive dissaembly of vehicle systems or acquisition of specialized parts. The remote technician can also take hi-res photos and put them directly in the service record. 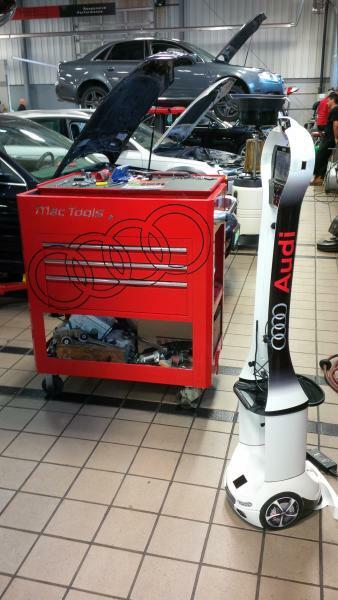 The robotic capabilities are important to Audi so the local service technician can be free to use their hands showing the remote technician the issue - not operating the equipment. In addition, 100% remote control means very little training is required. VGo was able to provide custom engineering to develop several new features, while maintaining a price point that is affordable. In addition, Audi specified a custom graphics package to re-enforce the leading edge Audi brand. 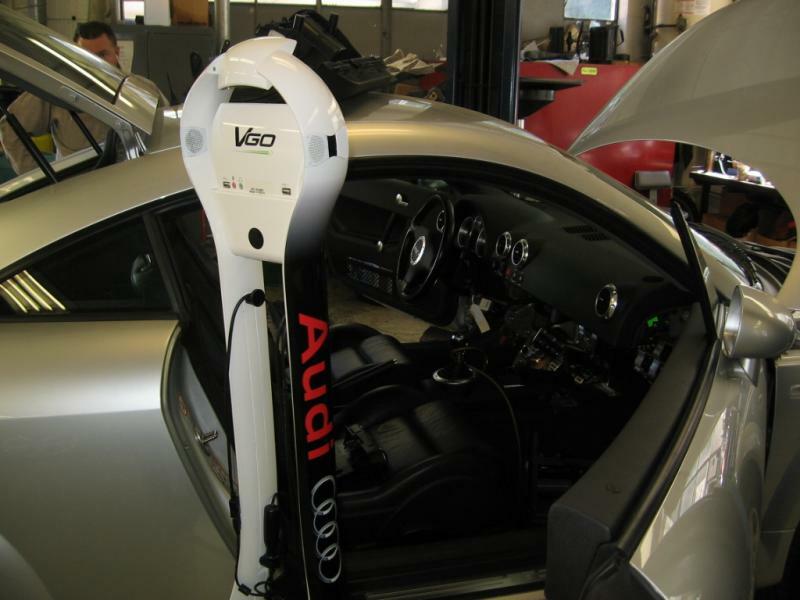 VGo and Audi continue to work together to identify additional benefits that can be provided by the innovative VGo platform.